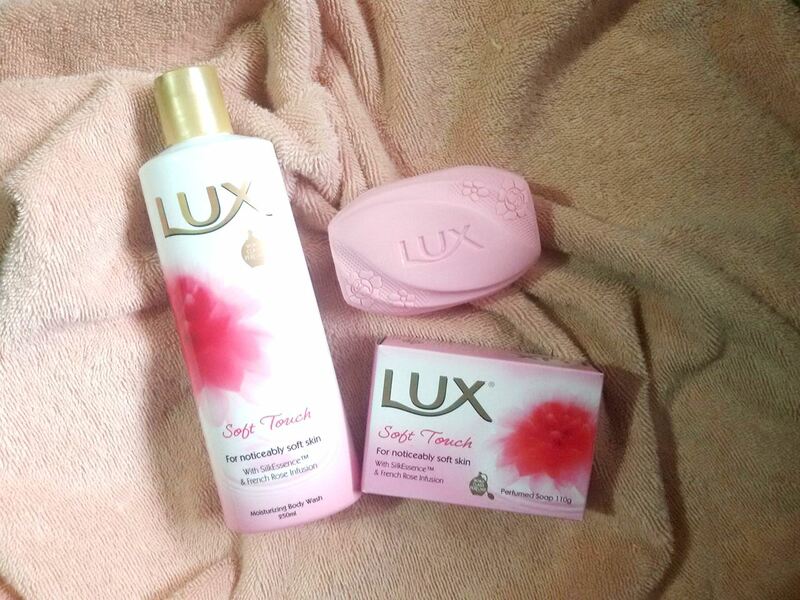 So lately, I've been using body washes and my latest local discovery is a new variant of Lux - Lux Soft Touch Body Wash.
Lux Soft Touch Body Wash has SilkEssence™ & Fresh Rose Infusion which smells like perfume and makes any woman feel very feminine and beautiful. Parang naliligo sa perfume everyday! Use it with body pouf or in my case, a soft bath cloth. A little amount of the body wash will do magic. It lathers smoothly and fragrantly onto the skin. This particular body wash has a light flowery scent that leaves the skin smooth and moisturized. What I like most about Lux Soft Touch Body Wash is that it's very easy to rinse. You know how it is like rinsing your body when you use soap? Yes, you get it. Other body washes are quite challenging to rinse that I have to stay longer in the shower or use several pails of water for rinsing. For this particular feature, Lux Soft Touch is my current favorite body wash, lalo na it's summer and water conservation is important diba? If you do want to smell like a bunch of French Roses after bathing by experiencing Lux Soft Touch as well, you may join their giveaway over their IG account. It's easy to join! Post a selfie and answer "Why do you love having fragrant skin?" Make sure your IG account is public. Giveaway will run until May 28, 2016. 20 winners will be selected to win Lux Soft Touch gift packs. Winners will be announced in Lux PH's Instagram account. For more updates on Lux PH, visit their website or follow them on Facebook.